By now you’ve probably heard of probiotics. In the simplest terms, probiotics are the good bacteria that help to keep your digestive system functioning optimally. These ‘good bacteria’ happen natural in our stomachs; however, there are several things that impede the natural production of healthy bacteria. Having an unhealthy diet, illness, stress, and bad sleep habits can increase the amount of bad bacteria in your system which kill off the good bacteria and can cause a myriad of health issues. That’s why the topic of probiotics (good bacteria) has become so popular in the past decade or two. Perhaps you’ve also started to hear a new word in the world of health – prebiotics. So, what are they and do we really need them? Prebiotics are necessary for probiotics to get to work. The easiest way to explain them is that prebiotics feed the probiotics. Without sufficient food, the probiotics that you’re either taking as a supplement or getting through your diet, aren’t functioning optimally. There are a variety of foods that are considered prebiotic, but one of the most beneficial for gut health is dietary fibre. This is because it is readily fermentable – meaning it is easy for probiotics to convert it into good gut bacteria. This is where Ambrosia apples come in as they are a good source of dietary fibre. 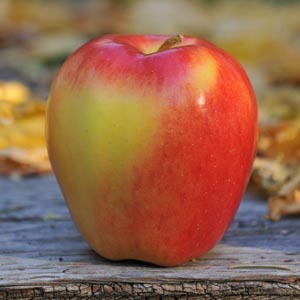 Eating Ambrosia apples everyday is a great way to introduce prebiotics to your digestive system. In this way they can lead to a healthy microbiome – or healthy gut. Having a healthy gut is so much more important than avoiding stomach upset. Ongoing medical studies continue to find links between gut health and the immune system, mental health, mood, autoimmune diseases, and even skin conditions. Additional research is looking at other ways our gut health may impact our overall well being. So, be good to your gut. Enjoy an Ambrosia apple every day. Editor’s note: This is a very simple explanation of prebiotics and probiotics. For a more scientific explanation, you can explore this article and this study.